Maki Sushi, 36 Brushfield Street, E1. Following the success of the ‘Maki Machine’ street food truck in Spitalfields Market, Maki have secured their first permanent site just around the corner at 36 Brushfield Street in the former Go Pizza site. Maki, is the brainchild of brothers Daniel and Antony Woodcock whose late father founded hotel management company BDL. The concept allows diners to decide exactly what they want in their sushi roll before seeing it made in front of them in a matter of seconds. Diners can be as creative as they want and are encouraged to come up with their own flavour combinations. For those in a rush or just unsure what to order there are a variety of delicious freshly made house rolls available such as the best selling Maki roll which is a combination of salmon sashimi, crab salad, crispy salmon skin, avocado and Maki Mayo. Maki agreed a new lease on the 420 sq ft site that is due to open in early August after a full refit. 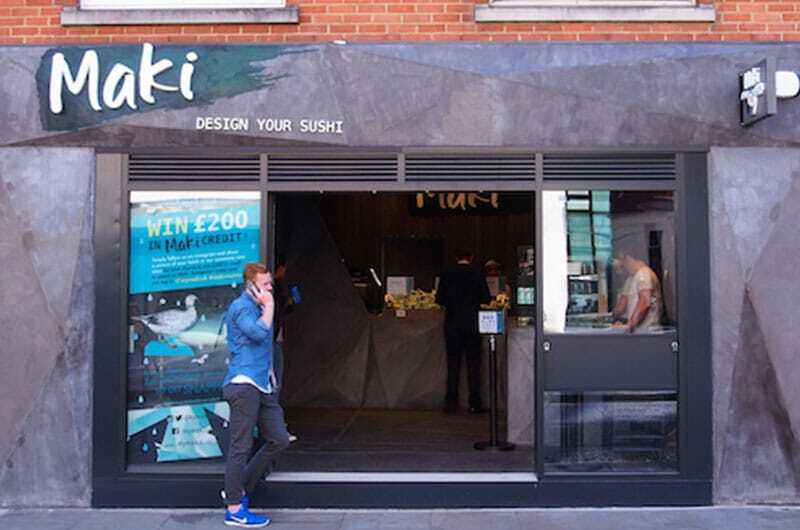 Maki have retained MKR Property and are actively seeking sites to expand across the capital.